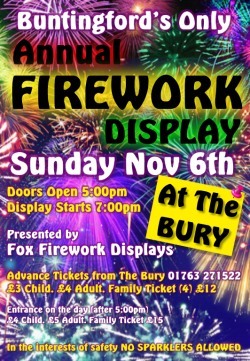 On Sunday 6th November the club is holding its annual firework display at The Bury. There will be a licensed bar, kiddies rides and a BBQ. Once again we are staging the event with no increase in ticket prices - they are the same as they were in 2008!